Our members are private citizens who recognize the need for education and research to preserve and protect the Great Lakes and the quality of life enjoyed by its communities and visitors. For more information, read on. We see our mission as one of being educators and catalysts, making sure the public that uses the Great Lakes and the approximately 30,000 people who actually live on the Lakes are well-informed and that they put pressure on their legislators to take action to restore them – the spark that gets the fire started, so to speak. More and more organizations around the Lakes are becoming aware of the problems they face so meetings, seminars and conferences are being held throughout the basin to decide what to do. Everyone who’s anyone in the Great Lakes, including the Canadians, will be there. We’ll be there too, ensuring that there are no surprises. Our input is needed because we’ve found that the WDNR and other organizations involved in restoration efforts are making little effort to inform and engage the approximately 30,000 Lake Michigan shoreline residents. We think this part of the public has more interest than the general public in preserving and restoring the Lakes. Further, we think that making an effort to educate and engage this constituency will improve the effectiveness of the lake preservation efforts being implemented by the various groups and governmental agencies engaged in these efforts. Our membership has never been limited to property owners and our interest is in the long term health of the Lakes, but given the history of our group and its original purpose, most of our members are shoreline property owners. Therefore, we think we are in a unique position through our newsletters and other means to educate property owners and to obtain their input and support of what needs to be done. As we’ve met with other groups that have an interest in preserving and restoring the Lakes and as we’ve met with legislators and regulators who have the responsibility to write the laws and regulations that are and will be necessary if preservation efforts are to succeed, we’ve found that they are all very much interested in obtaining the input of public who live on the Lake, vote and pay taxes. We think that WGLC given its history and membership base is uniquely qualified to obtain this input from property owners, to see that these views are presented to legislators and regulators and importantly to obtain the support of property owners for preservation efforts. We don’t want other organizations, well-intentioned as they are, to speak for us. But it’s not cheap to be represented at the meetings that are taking place to decide what to do – we travel to Canada, Washington DC, and other states; we meet with lawmakers, regulatory people, and other environmental and business groups; we publish newsletters and send out other mailings; we give presentations to any interested citizens’ groups. That’s why we need you. You’ve been very generous in the past and we appreciate it very much, but as you can see, our Lakes need our constant attention and to do that we depend on the help of our members. 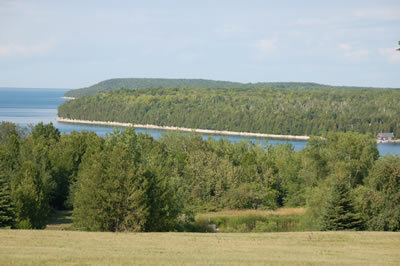 Water levels – a Canadian group wants to build a dam at the foot of Lake Huron to raise its water levels. This would also raise our water levels. Asian carp – Eagle Marsh, a state wildlife area in northern Indiana, has been found to be a possible access point to Lake Erie for these intruders. The Corps of Engineers is assigned to resolve the problem, but there are other places around the lakes just like this one. There’s more information on the News & Events page. Invasive species – since the start of the last century over 180 species of invasive species have been found in Lake Michigan. Many, like the mussels, cannot be removed. Salmon fishing – because of the mussels, climate change, and pollution, the food chain that supports the salmon and trout population is being destroyed. That leaves nothing for them to eat. We estimate that in 3 – 5 years we’ll be like Lake Huron – no fish! Climate change – due to the drought, water levels are down throughout the Great Lakes. We’re starting to hear talk about sending water to other states, in spite of the Great Lakes Compact. And there are more. To effectively deal with them, WGLC needs to travel to meetings, participate in seminars and conferences, and do public education. We can’t do it without your help. Please become a member and we appreciate any additional support you can spare. We thank you, and so do your grandchildren!